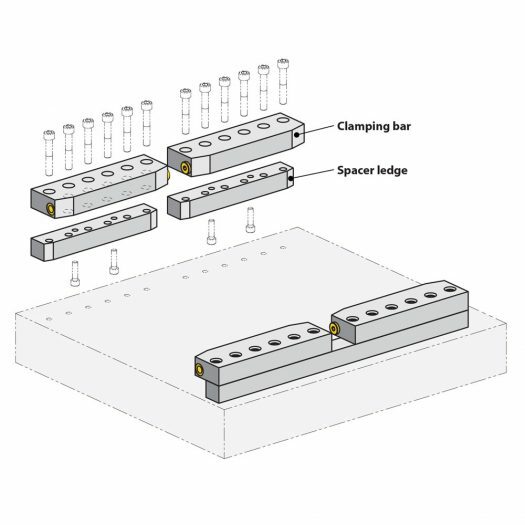 The clamping bar is mounted on the press bed or ram using a spacer ledge. 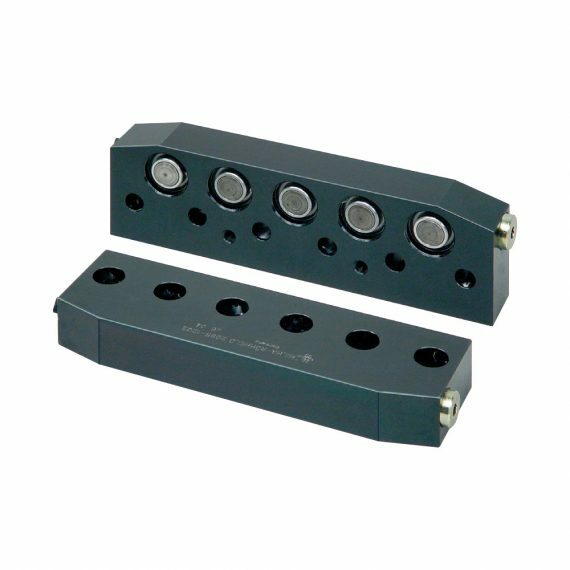 Clamping is carried out on the die clamping edge by applying hydraulic pressure to the 5 pistons which are arranged side by side and mechanically unclamped by spring return. Hydraulic oil is supplied through G 1/4 ports provided on both sides. Low profile design with chamfers for die insertion. Clamping force up to 35 kN uniformly distributed over 5 pistons. When using several clamping bars in a row, the elements are interconnected by means of hoses or tubing. Clamping bars installed in press bed and ram. 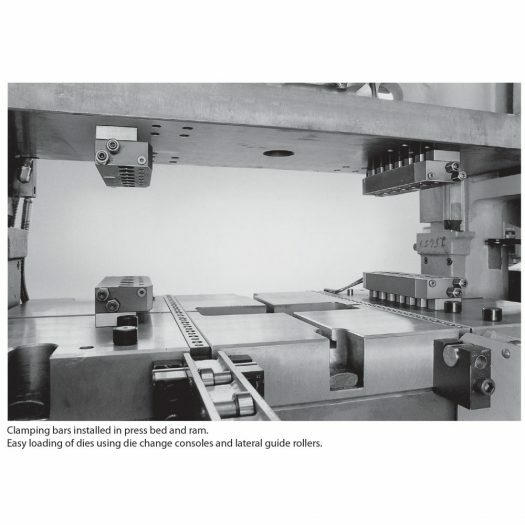 Easy loading of dies using die change consoles and lateral guide rollers.